It’s official, Apple has a new range of iPhone models for 2018, and has announced them and plenty more during a special event held at its futuristic Apple Campus in Cupertino, California. Rumors galore were rampant ahead of the event, telling us we should expect three new phones, and a new Apple Watch, too. Sure enough, that’s what we got — the iPhone XS, the iPhone XS Max, and the iPhone XR. You can read more about the iPhone XR here, and the Apple Watch Series 4 here, but carry on here for everything about the iPhone XS and XS Max. You can also check out our iPhone XS and iPhone XS Max review for more in-depth impressions. 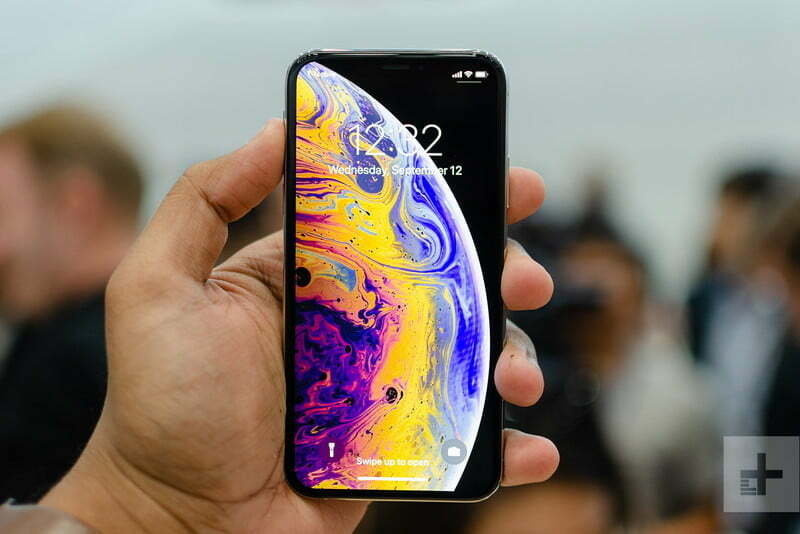 Insurance and mobile protection specialist firm SquareTrade has released its findings on the durability of the iPhone XS and XS Max, and the report makes for interesting reading. 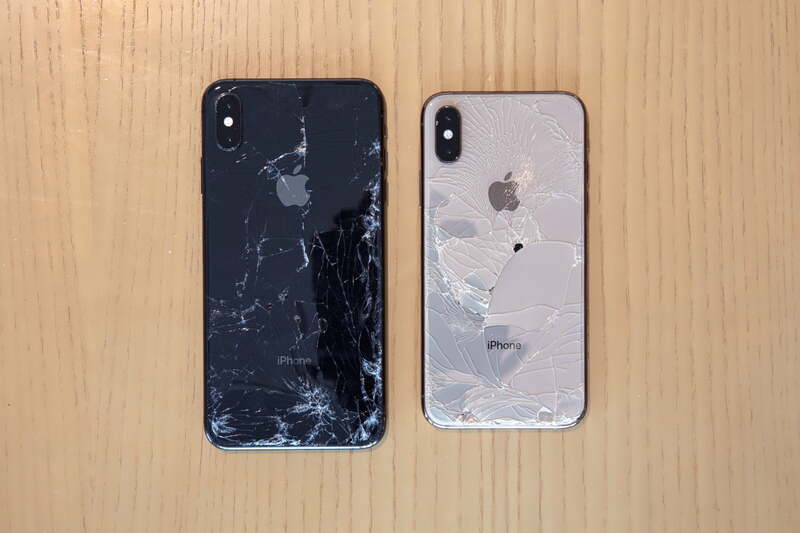 Both the iPhone XS and the XS Max were found to be more durable than the notoriously fragile iPhone X, but the glass on both still shattered after a single drop. In better news, Apple’s water-resistance claims were substantiated — as was Apple’s claim that the two phones are beer-resistant. 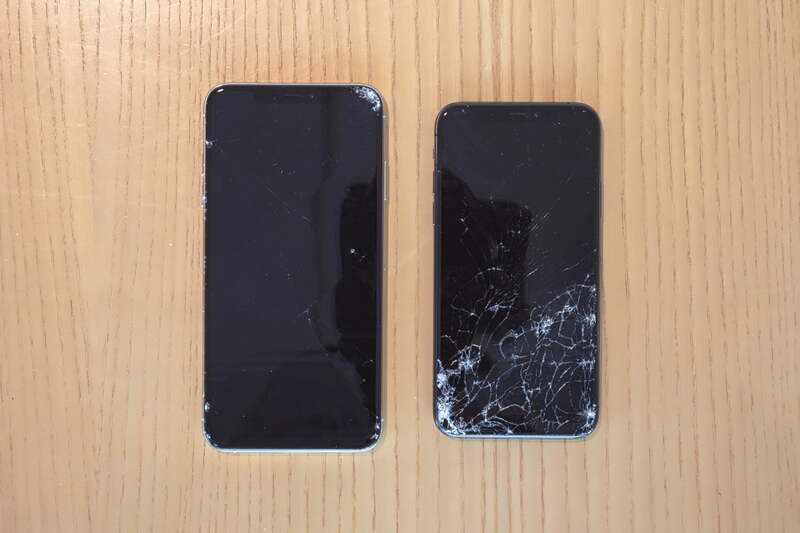 Both phones were dropped from 6 feet high onto the screen, the back, and the side. 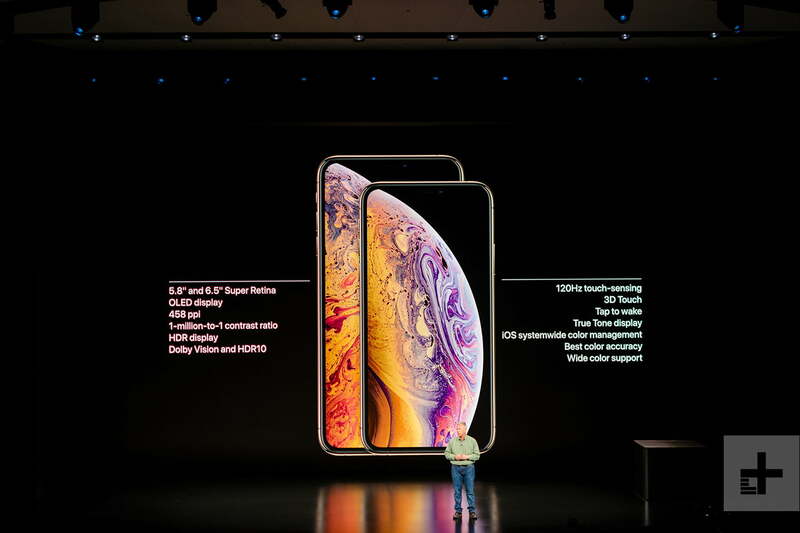 Both iPhones garnered significant damage from the drops, but the larger iPhone XS Max was found to be more durable than the iPhone XS, being still usable after the first drop onto its screen. Unfortunately for fans of the smaller phone, the XS was rendered inoperable by a single drop onto its screen — worried owners might want to consider investing in a screen protector for the XS and the XS Max. 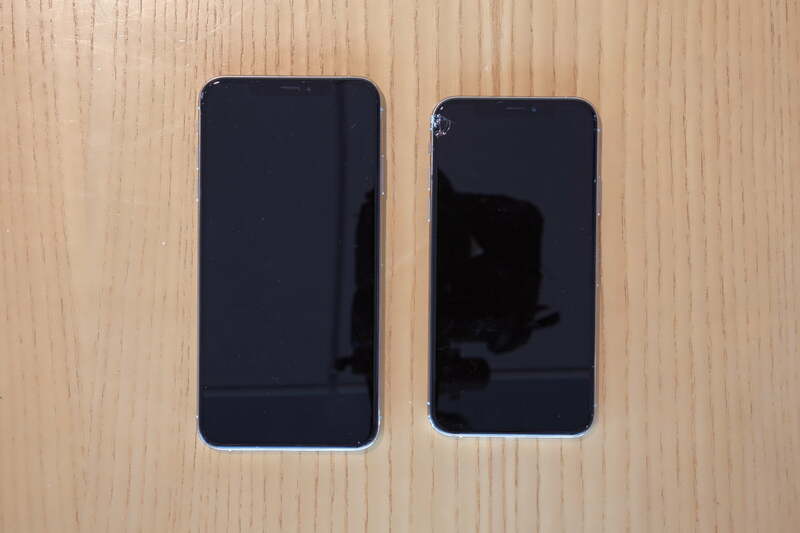 The glass backs on both phones shattered from the first drop in the back-first tests. The XS came off considerably worse though, with its glass back coming apart from the frame as a result of the drop. However, SquareTrade noted that the stainless steel frame helped to mitigate damage from side drops. The bend test rendered the iPhone XS’s screen useless, while the tumble test left both phones operable, but significantly shattered. While the XS Max came off better in most of these challenges, it’s probably worth grabbing yourself a protective case whether you’re packing the iPhone XS or the XS Max. The new iPhones held up better in the immersion tests. 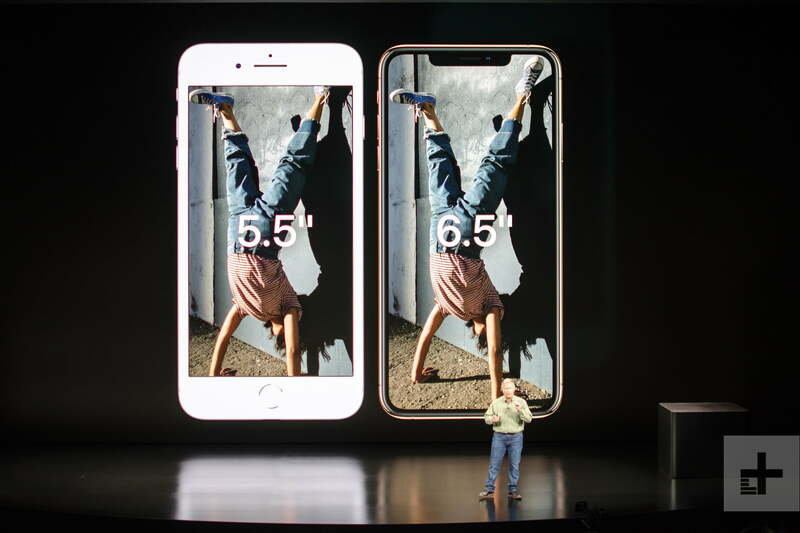 Both phones come with an IP68 rating, which means they should be able to survive immersion in water for 30 minutes, up to a depth of 1.5 meters. SquareTrade took a slightly different approach to its immersion test though, challenging Apple on the “beer-resistant” comment made at the iPhone XS keynote. Both phones survived after being immersed in 138 cans’ worth of beer, suffering no loss of function after a 30-minute beer bath. However, SquareTrade didn’t rate the iPhone XS and XS Max’s repairability. While a stronger adhesive explains the increased water-resistance, the high risk of shattering is likely to mean a financial headache for anyone who wants to repair their beautiful phone. SquareTrade sums its tests up with a score out of 100, with higher numbers representing a larger risk of breakages. The iPhone XS ended with a score of 86, putting it in the high risk bracket. The iPhone XS Max fared better with a score of 70, putting it at medium risk. The new iPhones are beautiful and powerful, but it seems they’re still as breakable as ever. You can also check out SquareTrade’s video for yourself, which includes details of how the phones fared in each test. Just don’t expect it to be easy watching if you’re an iPhone-lover. 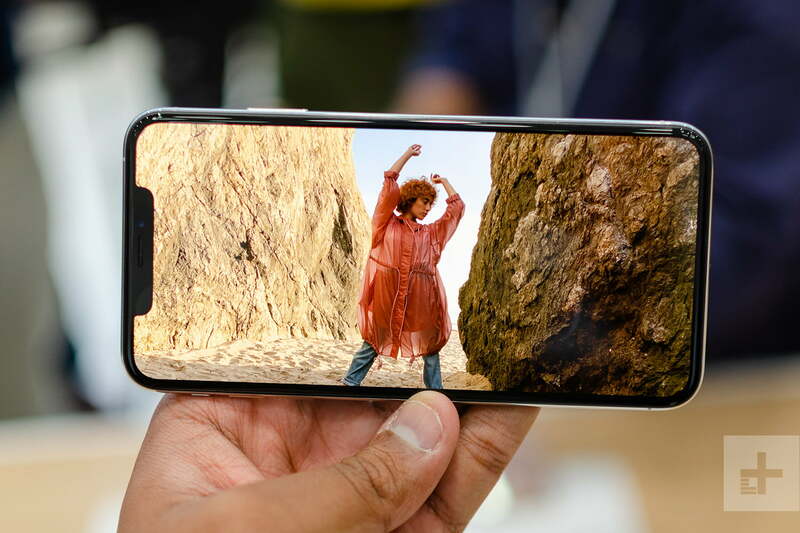 The iPhone XS is the first new iPhone to launch, and it’s the sequel to 2017’s iPhone X, which means it has an almost bezel-less 5.8-inch screen with a notch at the top. It has a Super Retina, OLED screen that measures 5.8 inches and has a 2436 x 1125 pixel resolution, for a 458 pixel-per-inch (PPI) density. It’s joined by a model with a 6.5-inch Super Retina OLED screen, which Apple calls the iPhone XS Max. The resolution is increased to 2,688 x 1,242 pixels and matches the iPhone XS’s 458ppi density. The new models come in gold, silver, and space gray, and the body has an IP68 water-resistance rating. The glass is also new, with a higher durability rating. Like the iPhone X, Apple calls this the iPhone 10, with the X being a Roman numeral. Each is powered by a new version of Apple’s A-series processor — the A12 Bionic. The company says it’s the first mobile processor built using a 7 nanometer (nm) process, beating the Huawei Kirin 980, which has been announced but not released yet. It contains a dizzying 6.9 billion transistors, can process 5 trillion operations each second, and has up to 512GB of storage memory. The A12 Bionic is a six-core CPU with two dedicated to high-performance tasks, and is 15 percent faster and has 40 percent lower power consumption than the previous generation. The four remaining cores are for efficiency and consume 50 percent less power. For more in-depth impressions of both iPhones, you can check out our reviews of the iPhone XS and iPhone XS Max. The iPhone XS and XS Max have new cameras. The main six-element lens has a new 12-megapixel, wide-angle sensor with an f/1.8 aperture, optical image stabilization, and a 1.4nm pixel size. The second telephoto lens also has 12 megapixels with OIS, a 2x optical zoom, and an f/2.4 aperture. The front camera has a new 7-megapixel RGB sensor with an f/2.2 aperture, plus an IR camera and a structured light transmitter for Face ID and animojis. For video, the front camera shoots 1080p at 60fps with video stabilization. Smart HDR is a new camera feature that goes a step beyond the HDR mode we’re already familiar with. Here, multiple images are captured almost instantly, at the same time, and all at different exposures, shadow levels, and more. The software and new A12 Bionic chip merge them into one photo for the best results. Apple has also improved the bokeh blurred background effect, which is helped by the A12 Bionic chip, and there is a new depth setting to change the level of blur in the background. This is activated using a slider in the camera app. Apple has boosted the iPhone XS battery life. With a 2,716 mAh battery, you’ll get 30 minutes more time from the iPhone X on the iPhone XS, and a 3,174 mAh battery will give you 90 minutes more from the iPhone XS Max. Apple also says it has improved the wireless charging but has not gone into detail about how. Other features include Gigabit-class LTE and dual-SIM with dual-standby technology. This uses eSIM, just like the iPad and Apple Watch, so there is no need to put in an extra physical SIM. In China, the eSIM option won’t be offered; instead, a traditional dual-SIM phone will be sold. The phones will also have Bluetooth 5.0, wider stereo sound from the speakers and stereo recording for video. The third new iPhone is the iPhone XR, which is the more affordable model, but it’s still no budget phone. It has a 6.1-inch Liquid Retina LCD screen, which Apple calls the most advanced LCD display available, and it has a 1792 x 828 pixel resolution for a 326ppi density. There’s no 3D Touch, but Apple has added a similar feature it calls Haptic Touch, which provides clever shortcuts, just like the full 3D Touch feature. 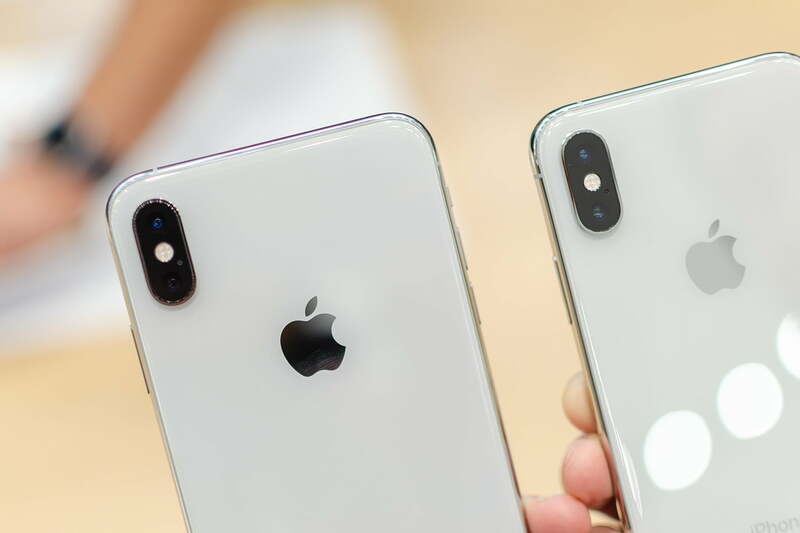 It shares the same camera, Face ID system, and A12 Bionic chip with the iPhone XS range, while the 2,942 mAh battery promises 90 minutes longer use than the iPhone 8 Plus. You can read more about the iPhone XR in our guide. The iPhone XS and iPhone XS Max became available for pre-order since September 14, and they went on sale September 21, through Apple stores and other retailers. The iPhone XS starts at $1,000 and the iPhone XS Max at $1,100. Expect to pay considerably more for the biggest 512GB versions. The iPhone XR comes in October and starts at $750. Apple will continue selling the $450 iPhone 7 and $600 iPhone 8. Updated on September 12, 2018: Added all the news from the Apple event.